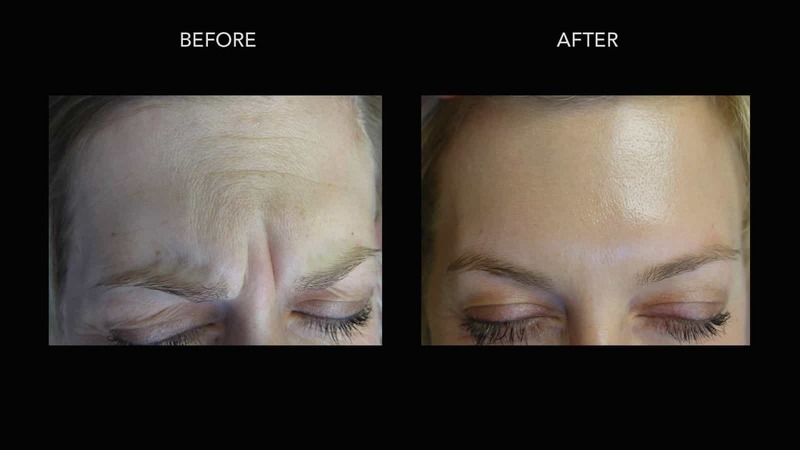 BOTOX ® is one of the most popular treatments at our clinic, and these botox before and after pictures will make it easy to understand why. Few treatments are so effective at dealing with the signs of aging so quickly or non-invasively. Our clinic has been applying and refreshing Botox for many years. 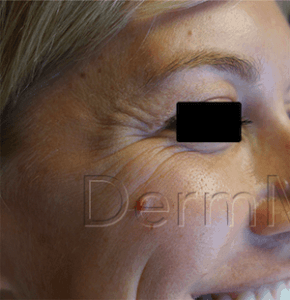 All the photos that appear below in our Botox before & after picture gallery were taken in our very own clinic. 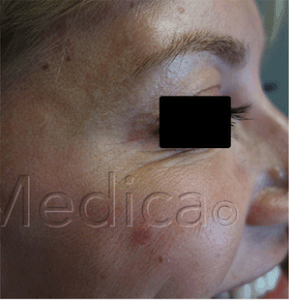 These are our own patients, and the results pictured were made possible with the treatments that were performed here. 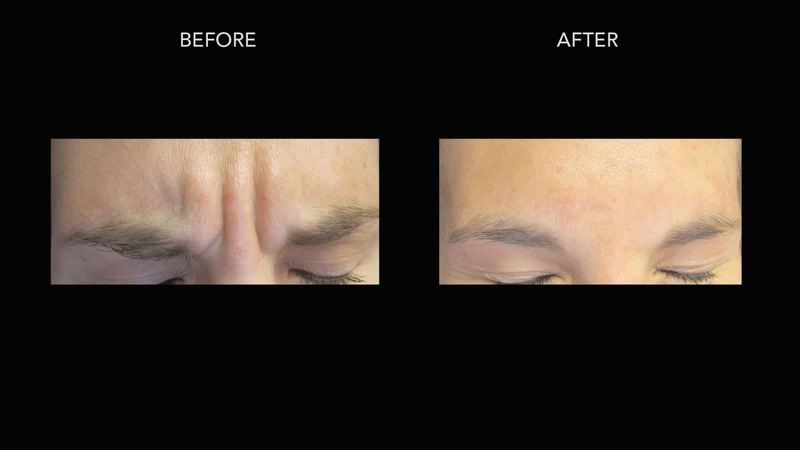 Please contact DermMedica today if you want to know how you can treat your lines with Botox. Here is another patient who has a lot of movement in the upper forehead and some fine lines developing over time. Even after a few weeks, the skin smooths out quite nicely, but it will become even smoother over the next few months. Make sure you maintain your Botox effect by having regular treatments to prevent the lines from returning. 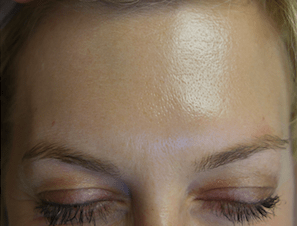 You will note the subtle but definite difference in this before and after for Botox in the forehead area. Care must be taken so the brow doesn’t feel to heavy, but enough relaxation occurs to smoothen the skin over time. This patient was a 37 year old woman when she came to us for a solution to lines around her eyes that were troubling her. 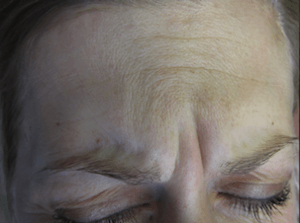 We often recommend the Botox cosmetic for “crow’s feet” lines around eyes, and this case was no exception. These results were achieved with just a few injections. 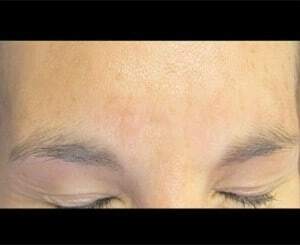 You can see for yourself how well the treatment managed the lines around the eyes. 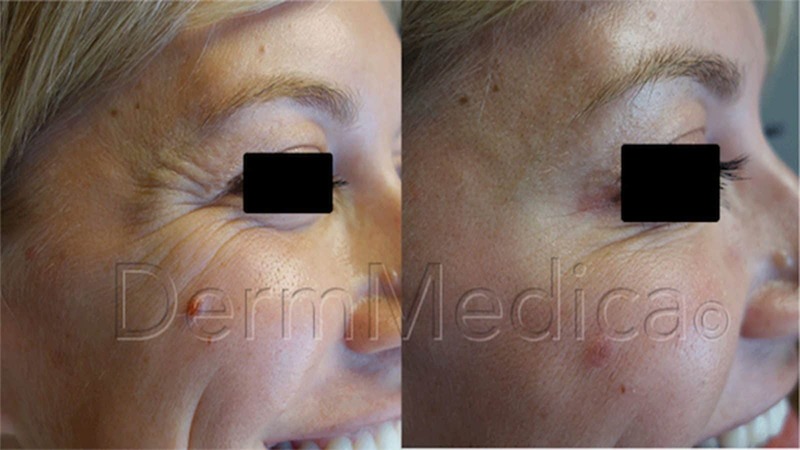 Note that the patient is smiling in both the before and after photos, showing the amount of wrinkle reduction visible with the same facial expression. People love the way they look after our Botox applications. Hear what they have to say about our botox injections and other great skin and laser treatments! “…Incredible! I looked younger after just one injection, and the lines haven’t returned even three months later. The clinics I’ve used in the past obviously weren’t using the same quality of filler.” – Amanda J. “My crow’s feet treatment was quick, comfortable and professional, just like every maintenance visit that I’ve had since. My appointment starts exactly when scheduled and I’m always out of the building and enjoying my new look only a half an hour later.” – Manny V.
Everything was explained very well during my first (Botox) consultation, and my results closely matched what I had been told to expect. I received an almost complete reduction in forehead lines, even when I intentionally arch my brows. This is amazing! – Claire H.